Giving the combination clopidogrel and aspirin to the patients with transient ischemic stroke (TIA) or minor ischemic stroke resulted in lower risk of having a major stroke within the next 90 days, as compared to those who received aspirin alone, according to a new study published in The New England Journal of Medicine. The study was conducted by S. Claiborne Johnston, dean, and professor of neurology at Dell Medical School at The University of Texas at Austin, and colleagues to evaluate the effectiveness of combination antiplatelet therapy (clopidogrel plus aspirin) in international patients with minor ischemic stroke or TIA. Clopidogrel (Plavix) is a platelet inhibitor commonly prescribed to people with peripheral artery disease or who have had a recent heart attack or stroke for prevention of future cardiac or stroke events. The risk of ischemic stroke ranges from 3 to 15% in the first 3 months after a transient ischemic attack (TIA) or a minor ischemic stroke. In several trials, administration of aspirin reduced the risk of recurrent stroke by approximately 20%. Clopidogrel blocks platelet aggregation through the P2Y12-receptor pathway, a mechanism that is synergistic with aspirin in platelet-aggregation assays. The combination of the drugs as compared to aspirin is effective in reducing the risk of ischemic events. 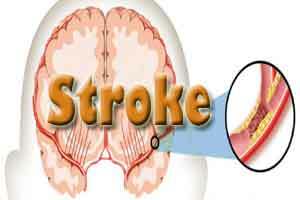 A minor stroke is the one that results in non-disabling, mild symptoms. TIA, often called a warning stroke or mini-stroke, is caused by a temporary blockage in a blood vessel to the brain that often dissolves or dislodges on its own to stop symptoms. The researchers conducted Platelet-Oriented Inhibition in New TIA and Minor Ischemic Stroke (POINT) trial that involved an international study of 4,881 adults in 10 countries who either had a minor stroke or a TIA. The patients were assigned with minor ischemic stroke or high-risk TIA to receive either clopidogrel at a loading dose of 600 mg on day 1, followed by 75 mg per day, plus aspirin (at a dose of 50 to 325 mg per day) or the same range of doses of aspirin alone. POINT is a randomized, double-blind, placebo-controlled trial conducted between May 2010 and December 2017. It included patient information from 269 sites in 10 countries throughout North America, Europe and Australia. The combination of clopidogrel and aspirin was associated with both a lower risk of major ischemic events and a higher risk of major hemorrhage than aspirin alone at 90 days. People who took clopidogrel plus aspirin had a 25 percent lower risk of a major stroke, heart attack or death from blood clots within the three months after the first incident, compared with those who took aspirin alone. Major ischemic events occurred in 121 of 2432 patients (5.0%) receiving clopidogrel plus aspirin and in 160 of 2449 patients (6.5%) receiving aspirin plus placebo (hazard ratio, 0.75; 95% confidence interval [CI], 0.59 to 0.95; P=0.02), with most events occurring during the first week after the initial event. Major hemorrhage occurred in 23 patients (0.9%) receiving clopidogrel plus aspirin and in 10 patients (0.4%) receiving aspirin plus placebo. “The study gives us solid evidence that we can use this drug combination to prevent strokes in the highest-risk people, but not without some risk of bleeding,” said Dr. Johnston. “Of the 33 major hemorrhages that occurred in these 4,881 patients, more than half involved the gastrointestinal tract, and none of them was fatal. These largely preventable or treatable bleeding complications of the treatment have to be balanced against the benefit of avoiding disabling strokes,” said co-author J. Donald Easton, M.D., professor of neurology at the University of California, San Francisco School of Medicine. Based on the study, the authors concluded that in patients with minor ischemic stroke or high-risk TIA, those who received a combination of clopidogrel and aspirin had a lower risk of major ischemic events but a higher risk of major hemorrhage at 90 days than those who received aspirin alone.